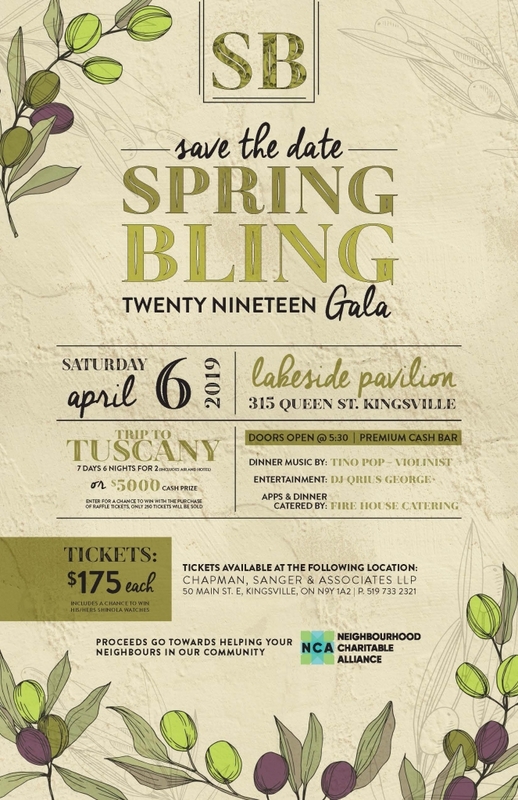 Join the NCA Saturday April 6th for an evening of fine wine, food and live entertainment. Kingsville’s Lakeshore Pavilion will be transformed into a gorgeous venue where our 300 guests can expect to dance the night away. The evening will feature strolling appetizers and a sit down feast catered by Fire House Catering, Live Music by Tino Pop – Violinist and DJ Qrius George. Specialty Coffee, Ice Cream Sundae & Premium Cash Bars. 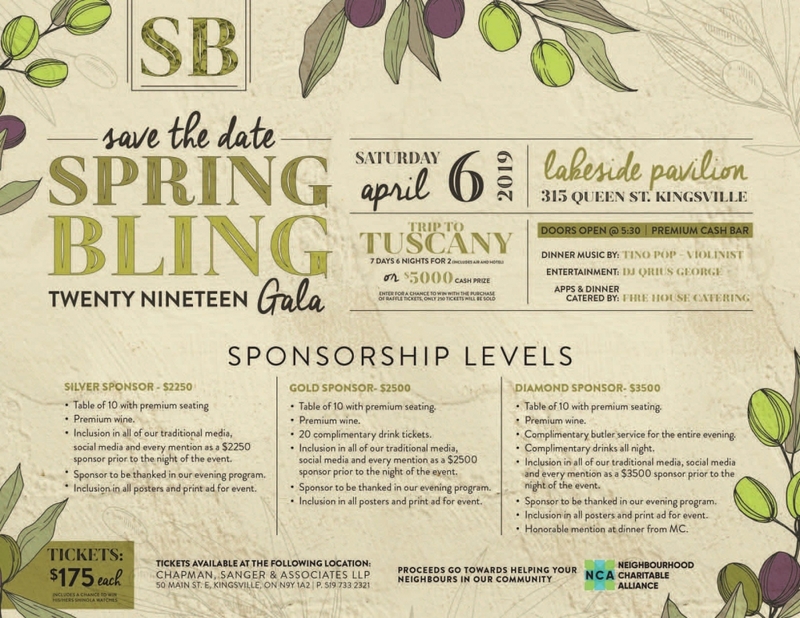 Chance to win TRIP to TUSCANY 7 Days 6 Nights or $5000 CASH prize! Proceeds go towards helping your Neighbours in our Community.